As a holistic medicine physician, Dr. Chan believes that compassion, presence and grace are crucial healing forces along with intelligently applied clinical knowledge. Dr. Chan received her osteopathic medical degree from Ohio University and completed her Family Practice Residency in 1997. She later became board certified in integrative holistic medicine. Dr. Chan was drawn to Osteopathic Medicine because of it’s holistic and individualized approach. Dr. Chan believes that health means more than the absence from dis-ease. Optimal health includes operating out of the highest expression of our soul’s purpose. She uses functional lab testing that looks at the body’s genetics, overall toxic burden, nutrient status, gut and brain inflammation, brain chemistry, food allergies, hormone levels, and stealth infections such as mold, parasite, virus and tickborne infections. Dr. Chan also addresses more subtle energies that can affect our health such as wi-fi and emotional or psychic stressors. Dr. Chan uses a wide array of treatment modalities that includes the energetics of the body’s bio field, orthomolecular substances, herbal tinctures for endocrine support and anti-pathogen purposes, German homeopathic remedies for increasing organ functionality, IV nutrient therapy, IV ozone therapy, as well as hands on osteopathic cranio-sacral therapy and energy balancing. Dr. Chan is a member of the American Board of Integrative Holistic Medicine, the Institute of Functional Medicine and the American Osteopathic Association. She has presented on a panel for Dr. Oz and completed a research study at the Institute of Frontier Science on the Bio field. 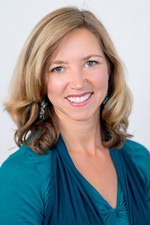 She is currently serving as a core faculty member at the Academy of Intuition Medicine. The following information will help you understand what it is like to work with Dr. Chan. Return visits are 30 minutes - $245. Return visits are more frequent at the beginning of a treatment, then become less frequent as a patient's health improves. These typically range from every 1-3 months.